The Swim Lab is a performance based swimming training program for triathletes and open water swimmers looking to improve fitness and speed by the latest training methodology and technology. We focus on developing the necessary fitness and skills needed to enable you to start races quickly, to swim in a pack, to have the ability to vary swim speeds based on race conditions and to navigate towards efficient buoy turns, all in a supportive environment under the guidance of very experienced coaches. At the same time, none of us are getting any younger and we very much welcome individuals who are keen to swim for its health and fitness benefits too. We have something for anybody who wants to learn to swim better, whether for performance, or simply as a movement benefit for the day. Please note that we do not offer a Learn to Swim service in the traditional sense where a coach gets in the water with a swimmer. We take folks that already can swim, and then make sure they are swimming to the best of their technical ability as well as speed. 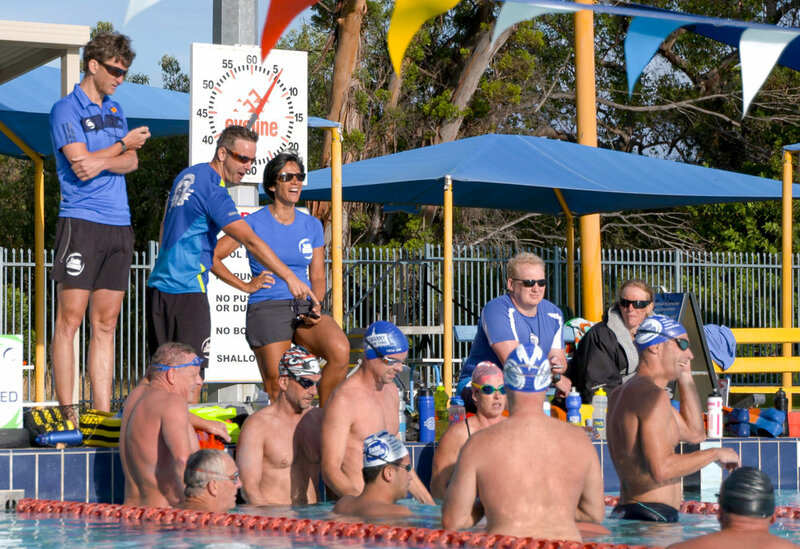 Squad sessions are designed to get you "race ready" to swim in open water, whether it’s for your first open water race, aquathon, sprint distance triathlon, Ironman or marathon swimming event. Masters swimmers are also welcome, but the main focus of these sessions is open water swimming development. These monthly sessions follow a set progression of drills and skills, focusing on technique while building general fitness at the same time. Effectively our "pre-squad", this course is a perfect starting point for those that already know how to swim freestyle, but are not well versed in freestyle technique, who struggle with breathing and need some more TLC than our Squad environment offers. All swimmers are fitted with a headset hooked up to the Coach for immediate feedback. These sessions are the bridge between our Training Squads and a full 1-to-1 Video Analysis. They are essentially Personal Training sessions for 2, 3 or 4 swimmers, catered to each individuals' swimming needs. Whatever the goals, these sessions can be tailored specifically to you. You could be Kona qualifiers looking to break that elusive 1hr barrier, a group of Mums who prefer to focus on fitness swimming, competitive age-group swimmers who need some technical refinement not being met in your practices, a couple or friends who would like to tackle swimming together, or, you could even be regular Squad swimmers who have somewhat plateaued and would like more feedback on whether or not recent changes to your technique are being done well and working. All swimmers are fitted with a headset hooked up to the Coach for immediate feedback. This is without doubt, our premier service. It is a full underwater analysis and stroke correction session to unlock and uncover all the issues that may be holding your swimming back. We will identify what those issues are, discuss and review how best to eliminate them and spend time going over corrections and a game plan to get you on the right track.